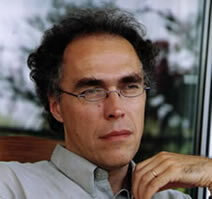 Akos Rona-Tas received his Ph.D. from the University of Michigan. He is the author of the books Plastic Money, Constructing Markets for Credit Cards in Eight Postcommunist Countries (with Alya Guseva), and Great Surprise of the Small Transformation: Demise of Communism and Rise of the Private Sector in Hungary. He published articles in the American Journal of Sociology, American Sociological Review, Theory and Society, Social Science Research, East European Politics and Societies, Socio-Econoimc Review, Journal of Comparative Economics and in various edited volumes. His general areas of interest include economic sociology, risk and uncertainty, rational choice theory, and statistical and survey methodology. Currently, he is working on credit card markets and consumer credit in emerging economies and risk analysis in food safety regulation. "Consumer Credit and Society in Transition Countries." In Victor Perez Diaz ed. Markets and Civil Society, Berghan Books, New York 2008. "The Three Modalities of Rationality and Their Contradictions in Post-Communist Consumer Credit Markets." In Jens Beckert, Rainer Diaz-Bone and Heiner Ganssmann eds. Märkte als soziale Strukturen. Campus Verlag, Frankfurt/New York 2007. "Entrepreneurship and Self-Employment in Transition Economies." (with Matild Sagi), Research in the Sociology of Work, 2005, V105. "Uncertainty, Risk and Trust: Russian and American Credit Card Markets Compared." (With Alya Guseva.) American Sociological Review, 2001, V66(N5) pp.:623-646. Reprinted in New Developments in Economic Sociology, ed. by Richard Swedberg, Northampton, MA: Edward Elgar 2005. "The Privileges of Past Communist Party Membership in Russia and Endogenous Switching Regression." (With Alya Guseva.) Social Science Research December 2001, 30(4) pp. :641-652.